I’ve never really cared for pipe cleaners. They feel kind of gross to me. However, I have found a new appreciation for them. 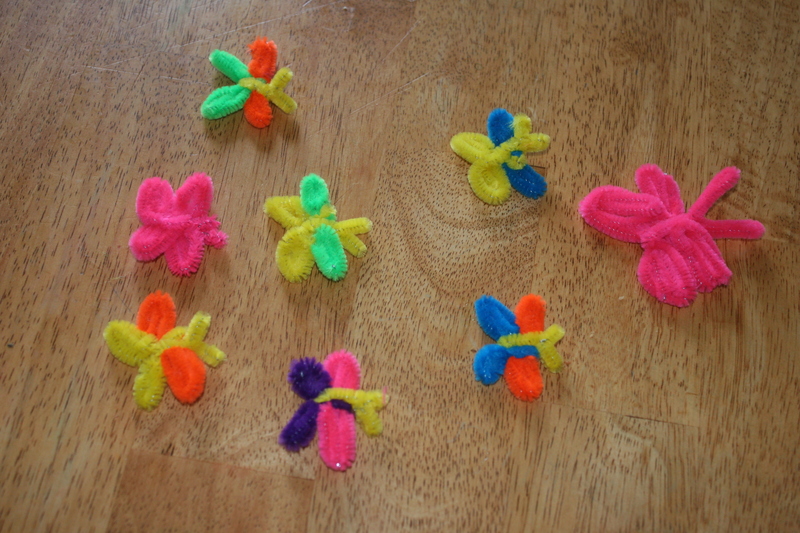 When my children were making their coffee filter butterflies, they began finding other things to do with the pipe cleaners. It wasn’t long before they had an entire group of pipe cleaner creatures. There were so enamoured with this (low mess) project, that I think it will be a perfect on the road project. We’ll take some pipe cleaners with us when we go on our trip later this year. I’ve never been a fan of pipe cleaners either, but Kieran really loved them when we used them to make styrofoam ball spiders. Cute project! We haven’t really gotten into them yet because I think they’re still a choking hazard (my son is not yet two), but I remember liking them a lot when I was little enough to do crafts in Sunday School and Girl Scouts! Between this post and your coffee filter butterflies, I think I’ll have to add a pack of pipe cleaners to our crafting stash! These are so cute!